With its international headquarters in New York, OneVoice US has regional field offices in Chicago and Washington, D.C.. OneVoice Europe is based in London, and active across the continent. Mara serves as the Global Executive Director of OneVoice, working closely with the PeaceWorks Foundation and OneVoice Europe boards and lay leaders on strategy and then oversees it implementation, ensuring that each component has the resources, guidance and support it needs to have maximum impact. 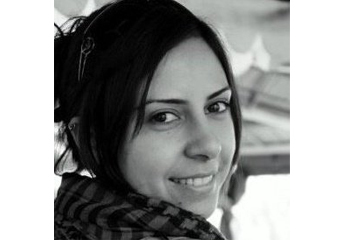 Mara first joined the Movement as our International Organizing Director, based in the Middle East. In that position she focused on professionalizing and expanding all of our grassroots work, incorporating best practices and focusing on training and empowering local staff. She previously served as a political appointee in the Obama Administration as the Deputy Director of Public Affairs at the U.S. Department of Commerce's International Trade Administration and before that was Congresswoman Doris Matsui’s (CA-06) Deputy Chief of Staff & Communications Director. A campaign veteran, Mara has served in leadership positions on behalf of Barack Obama, Hillary Clinton, John Kerry, and Senators Jeanne Shaheen (D-NH) and Ben Cardin (D-MD). Mara majored in politics and history at the University of California, San Diego and earned her Master's degree in political science from the University of London, graduating with distinction. She is also an Associate Professor at the George Washington University, where (when time allows) she teaches courses on global politics and campaign management. Mara is based in our New York office. Anna serves as OneVoice’s Director of Development, leading the strategic fundraising efforts for the US-based development team. She works closely with current and prospective individual donors and grant funders for OneVoice, Darkenu, and Zimam. Prior to joining OneVoice, Anna worked at the Jewish Federations of North America in the Financial Resource Development sector, where she spearheaded a number of signature Federation fundraising initiatives including the Multigenerational Family Philanthropy Program, Fundraising University (a professionals development program for top Federation fundraisers), and planned large-scale conferences and international mission trips for top Federation donors and professionals. Anna has also spent time working on both the programmatic and fundraising side for a number of NGO and social service based non-profits in Minnesota, New York, and Tel Aviv focused on assisting vulnerable, underserved, and peripheral populations in those communities. She holds a BA from Smith College in Women and Gender Studies and Jewish studies and is based in our New York office. Anour serves as OneVoice's Regional Organizer in the New England Region, working with students on college campuses in and around the Greater Boston area. Prior to joining OneVoice, Anour worked as Communications and Outreach Associate at United Palestinian Appeal in Washington, DC, working on fundraising, event planning, graphic design, and more. He holds a Bachelor’s degree in International Affairs and Conflict Resolution from The George Washington University in Washington, DC. 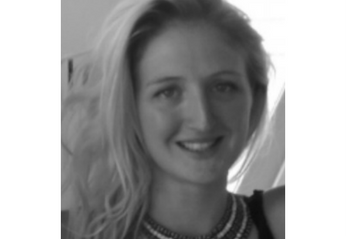 Cornelia serves as OneVoice's Special Projects Manager, coordinating various initiatives from the New York office. She leads on delegations to Israel and Palestine, and manages development and grant writing for US programming. Prior to joining OneVoice, Cornelia interned and worked for International Community Action Network in Canada and Israel/Palestine, supporting local communities through social advocacy and sustainable development projects. She holds a Bachelor’s degree in Middle Eastern Studies and International Relations from McGill University. She is based in our New York office. Ethan is OneVoice’s National Organizing Director, working with regional organizers and students across the United States to fulfill OneVoice on Campus’ mission. He oversees day-to-day operations of campus organizing and is working to expand the reach and impact of OneVoice on campuses throughout the US. 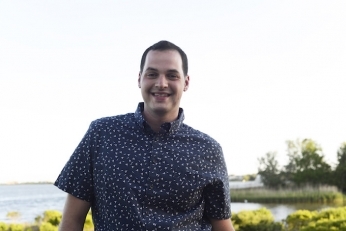 Prior to joining OneVoice, Ethan worked as an educator and community organizer within the Jewish community of Detroit, focusing largely on building global identity and strengthening cross-community partnerships. He has spent time working and volunteering for various political campaigns, issue-based advocacy groups, and other initiatives in the US and Israel. He holds a Bachelor’s degree in Political Science from Indiana University. He is based in our New York office. James serves as the Digital Communications Manager of OneVoice globally, working closely with staff in the United States and Europe, and partners in Israel and Palestine, to ensure that the varied work supported by OneVoice is shared widely and effectively. 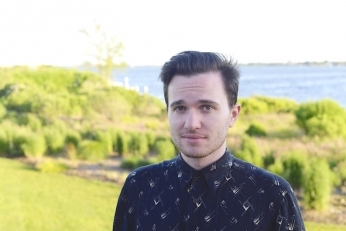 Prior to joining OneVoice, James worked as a writer and editor at Out Magazine and the Advocate. His writing, on a range of topics, from politics to literature, has been featured in Haaretz, Buzzfeed, the Forward, the London Evening Standard, Vice News, Kirkus Reviews, and more. He holds First Class degrees in history from the University of St Andrews and the University of Glasgow in Scotland. James is currently based in Tel Aviv. Nurettin is a veteran IT Professional with over 10 years of experience. 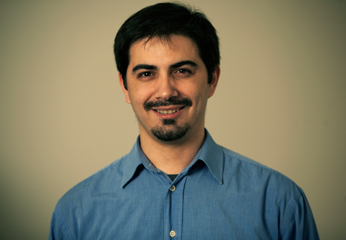 During these years, he worked on a wide variety of projects as an IT technician and software developer. Yousaf Shakil is OneVoice’s Development Associate. Through this role, he supports the Development Director, manages OneVoice’s systems and data tracking software, and conducts research on grants. 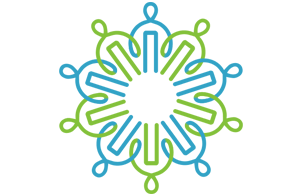 Additionally, Yousaf provides support for the Executive Director and Board of Directors. Prior to joining OneVoice, Yousaf interned with the International Rescue Committee, Northern Manhattan Coalition for Immigrant Rights, and Lambda Legal. Yousaf holds a Bachelor of Arts with honors in Social and Cultural Analysis from New York University. Youval is the Mid-Atlantic Regional Director for OneVoice on Campus, working with college students across the DC area. She supports fellows with their activities on campus, provides them with in-depth organizing training, and engages with the local DC think tank and policy communities. Before joining OneVoice, Youval served as Camp Coordinator at Seeds of Peace where she assisted the Camp Director in the logistical lead-up to Camp and managed the Camp Office. She continues to spend summers at Seeds of Peace Camp as a music and arts counselor. She holds a Bachelor’s degree in International Studies and a Master’s degree in International Administration from the University of Denver. Youval is based in Washington, DC. Jess Brandler serves as the Middle East Director of OneVoice Europe, working with the OneVoice Europe board to support and elevate the work of Zimam and Darkenu in Europe, and strategise on how to expand support for their work through stronger connections with the Directors, staff, and activists of Zimam and Darkenu. She also directs the work of Solutions Not Sides in Israel and Palestine, recruiting, training, supporting, and empowering the Israeli and Palestinian activists from 18 different organisations who are brought to the UK to speak to run solutions-focused workshops for young people, faith, and political communities. 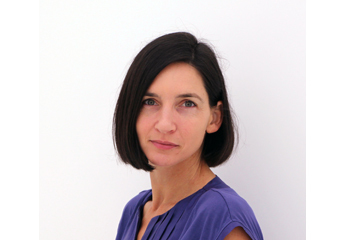 She has a BA from Cambridge University in Politics, Psychology, and Sociology, specializing in conflict, development, and the role of religion in politics. Following her graduation, she was awarded a fellowship at the Central European University in Budapest, where she completed her MA in International Relations and European Studies. During this time, she wrote papers and ran seminars on Palestine and Israel, and volunteered with the The Human Rights Initiative (HRSI). After graduating in Budapest, she moved back to London, where she worked within the education sector in universities and schools developing the start-up Yearbook Machine. 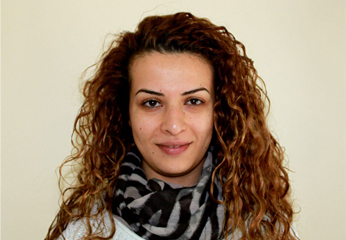 Ayala has recently graduated her MA in Conflict studies and Diplomacy in the Interdisciplinary Center in Hertzeliya. Previously she served as the Jewish Agency representative to the Baltimore community and Habonim Dror youth movement, where she worked within the Jewish community in various ways, to engage them with Israel and the challenges it faces. For four years, Ayala served as the director of the “Year of Service” of the Kibbutz movement, where she recruited hundreds of volunteers every year and professionalized the volunteer management process of the organization. Ayala is very passionate about contributing to a conflict resolution and peace building by working for OneVoice and its goals. In this position, Samer oversees the different programs and activities of the movement in Palestine, maintains the strong network of OVP volunteers and activists, and works toward building a coalition of civil society organizations in support of the two-state solution. Through OneVoice, Samer has organized grassroots campaigns, training seminars, and discussion panels throughout the West Bank. He also regularly engages with elected leaders across the political spectrum—both national and local officials—through town hall meetings, which bring together leaders and Palestinian citizens to discuss the issues of the conflict. Under Samer’s leadership, OVP has grown to become the second largest youth movement in Palestine with over 500 core activists in all the governorates of the West Bank. Through OVP’s Youth Leadership Program, these activists are empowered to be young moderate political leaders capable of leading their communities in achieving a comprehensive peace agreement through the two-state solution. Samer holds a bachelor's degree in business administration from Birzeit University in Palestine and has extensive international training in fundraising and non-profit management, including a cultural exchange mentorship program sponsored by the U.S. Department of State. 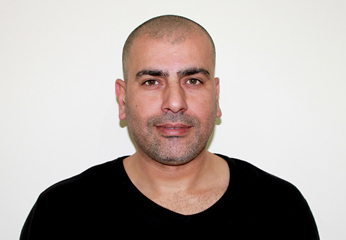 In addition to his work with OneVoice, Samer has 10 years of experience in a broad range of non-profit and business organizations in Palestine. Prior to his post in OVP, Samer served as the head of Ramallah’s Al Kasaba Theater & Cinematheque Programs & Development Department. As a member of the Palestinian Council for Young Political Leaders, he has established a wide network of connection with Palestinian politicians, organizations, and institutes. Samer is also the President of the Jifna Youth Club and the leader/organizer of the Jifna’s Apricot Festival, one of the largest, most popular and well known festivals in Palestine. Samer is from the West Bank town of Jifna. Arwa was born in 1981 in Beirut as a Palestinian refugee, and she spent parts of her life in several countries with her family before being able to settle down in Ramallah, Palestine in 1996. She holds a B.A. in Media, Radio and Television broadcasting, from Birzeit University and an M.A. in Internationalization and Communication of Production Systems from the University for Foreigners in Perugia, Italy. Arwa began her career as a news and documentary film producer, and later on she worked as a Projects Manager of Young Entrepreneurs Palestine (YEP), an NGO that supports young business leaders to develop their ideas and facilitates access to grants to help them establish and sustain small and medium enterprises in Palestine. In addition, she worked as the Head of Media Section in the Central Elections Commission of Palestine. Arwa is also a senior leader in OneVoice Movement. She started volunteering in 2006 when OneVoice launched its campaign, "What Are You Willing to Do to End the Conflict?" Arwa felt deeply touched by the title, believing that every individual can make a difference in his or her life instead of merely focusing on the actions of the other side. She continued to support OneVoice when it embarked on another bold initiative in 2009, town hall meetings, which works to break taboos in both Israeli and Palestinian society. Arwa participated in two International Education Program tours in USA. Abdallah was born in the town of Yabed near Jenin to a big family. He has eight sisters and three brothers. Abdallah's parents passed away when he was young, so his sisters helped to raise him into the young man he is today. Like many Palestinian workers, Abdallah worked in construction in Israel during the 1990s. He joined a community college in the late 1990s and specialized in the insurance field as a Damage Assessor. Abdallah worked for the Palestinian Authority between 1999 and 2001 in the VIP Protection Unit. In 2002 he worked for the Ministry of NGO Affairs as an administrator where he received several courses in civil services. 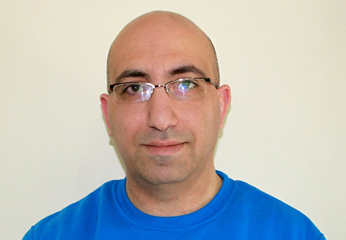 Abdallah Joined OneVoice in 2005 as volunteer, soon became an activist, and started working for OneVoice Palestine part-time between 2006 and 2007. During this period, Abdallah received courses in public speaking, campaigning, recruitment, conflict resolution, negotiations, and peace building. These courses helped him become a trainer for the youth in the field of leadership. As Youth Leadership Program Director for OVP, he helped design and implement OVP's most successful program with over 700 youth leaders in the West Bank and Gaza. Abdallah and his family, his wife Safa' and daughter Talia, live in Ramallah. Born in Lebanon in 1982 to a Lebanese mother and a Palestinian father, Wasim lived in a refugee camp in Damascus for 10 years where he completed his primary education. Wasim went to high school in Gaza and moved after to Chicago to study Computer Science. 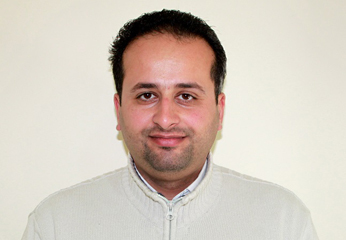 Wasim worked for the International Committee of the Red Cross in Gaza between 2006 and 2010. He also worked for a few international organizations and non-governmental institutes as a Field Coordinator for a number of projects aiming to develop practices of democracy for security personal in the West Bank. Wasim joined OneVoice in 2011 as a Project Coordinator. Wasim is married and a father of two girls. He loves music, reading mystery novels, and video games. Born in Kuwait, Khalil studied in an elementary school south of Kuwait and move with his family to Jordan after the second Gulf War. Khalil graduated from Birzit University with a bachelor's degree in Finance and Banking. Khalil volunteered for many organizations and participated in several non-violent activities protesting the occupation. He worked for "Tawen" Institution for Conflict Resolution as an Assistant Coordinator, promoted after to Lead Accountant. Khalil also worked for the Palestinian Company for Economic Development and later worked as the Administrative and Financial Coordinator for Third Road Campaign. 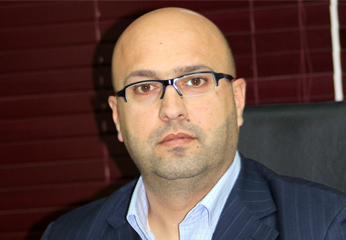 Khalil worked in the private sector, starting as a Public Relation Administrator for the Bank of Palestine in Salfit. 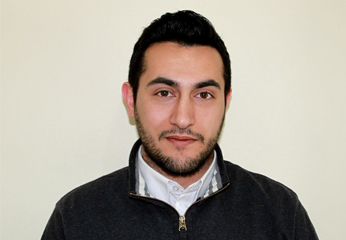 Khalil joined OneVoice Palestine in 2009, currently working as a Financial Administrator. Khalil is married and has three children, he loves history, learning new languages, and traveling. Born and raised in Jerusalem, Wisam completed primary school in Sheikh Jarrah, East Jerusalem. Wisam graduated from the University of Bethlehem with a degree in English Literature. She moved to Ramallah to work in the private sector. She established a private import and export company with her husband. Through communication with Israeli companies to facilitate her business, Wisam understood the importance of ending the Israeli-Palestinian conflict and the damage the occupation has over small businesses in Palestine. Wisam also worked for several institutions aiming to end the conflict and peace building in East Jerusalem, later she became a staff member and part of OneVoice Palestine. Wisam is married with one daughter, she currently lives in Ramallah. Wisam faces pressures and challenges daily by the Israeli government as both Wisam and her family carry Israeli IDs and they are not allowed to live in the West Bank.